For a long time, communication and math skills were believed to be mutually exclusive. In other words, a Public Relations professional was expected to be a good communicator and possess strong social and writing skills. Conversely, an IT professional or an engineer was expected to have a solid quantitative background and a math mindset. Shelley Spector, the enthusiastic founder of The Museum of Public Relations, reveals in this interview some warm observations and memories drawn from the 20th anniversary of the museum and her conversations in the 80s and 90s with the father of public relations, Edward Bernays*. A nephew of Sigmund Freud, Bernays applied the social sciences to public relations. He used to say that a profession is an activity where the public interest should be served. For the past 15 years, Charlie Coney, Head of Creative, EMEA, at GOLIN, has developed and implemented creative campaigns for clients such as eBay, Cadbury, Johnnie Walker, Dove and npower. A passionate advocate of the power of creative communications to improve the world we live in, Charlie works closely with clients and agency teams to rally behind ideas which entertain, inform, educate and – most importantly – matter. He argues that anyone has the ability to be creative – it’s more of a mindset than anything else. PR Romania has invited John Saunders, Regional President for Europe, Middle East and Africa at FleishmanHillard, to talk about how innovation can transform public relations. We hear quite often that PR agencies are able to create great ideas, but clients prefer proven solutions leading to safe results. Highly innovative or disruptive ideas are viewed sometimes with suspicion. Searching the same profiles, with the same skills, coming from the same universities is no more the optimal route for recruiting people in the PR industry. We need to start recruiting differently and that means attracting and retaining a more diverse range of people, coming with different areas of expertise and backgrounds. 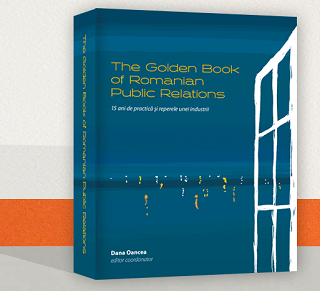 PR Romania has invited Fred Cook, the CEO of Golin, one of the largest and most successful PR firms with 50 offices around the globe, to give us some insights about recruiting differently in PR. Fred has a legendary profile, since he has worked with business leaders such as Apple’s Steve Jobs, Amazon’s Jeff Bezos and Disney’s Michael Eisner. But his career was not always so famous. Before starting his corporate career at the age of 36, he had worked as leather salesman, chauffeur, substitute teacher, cross-country tour guide, a cabin boy, and a doorman, but each job taught him a life lesson. His new book, Improvise: Unconventional Career Advice from an Unlikely CEO, is full of priceless career tips for the young generation. PR agencies need to start delivering more creativity and true innovation in order to stay competitive. One of the reasons why there seems to be little creativity and innovation in the sector is that it is not an easy process. Gabriela Lungu, creativity and PR international expert, believes that the more we internalise good creative processes, the bigger our chance to come up with creative solutions every time. The appetite for authenticity is greater now than ever. People worldwide are sick of overly media trained and on-message spokespeople and are seeking the real deal. In an interview with PR Romania, Alison Eyles-Owen, global EVP marketing communications at Hill+Knowlton Strategies, explains why data, insights and connections remain so critical as tools for every PR practitioners. ‘You will never really become a trusted advisor to a CEO or CMO by being a crowd pleaser. You need to add value and sometimes the unspoken perspective’, told us Alison. Read on for Alison’s views on all of this and more. GolinHarris has just announced in Romania a significant restructuring of its local agency model giving up its top-down pyramidal structure of communication generalists and praising instead the role of dedicated specialists. "The old generalist model is dead" says Matt Neale, President International GolinHarris, who speaks with PR Romania about the agency's redesign. Katie Paine is a renowned expert on public relations and social media measurement. She is the CEO and founder of KDPaine & Partners LLC and author of "Measuring Public Relationships: The data-driven communicator's guide to measuring success." She also writes the first blog (Katie Paine's Measurement Blog) and publishes the first newsletter (The Measurement Standard) dedicated entirely to measurement and accountability. 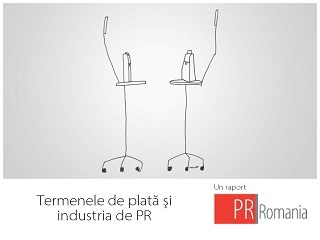 PR Romania had the opportunity to conduct an interview with the Queen of Measurement. David Rockland, Partner and CEO Ketchum Pleon Change: If You Can’t Count It, It Doesn’t Count! The associations and publications like yours hopefully will push and will continue to advocate for the evaluation and measurement in PR. Because, if you don’t measure, it doesn’t matter. There is this expression we use: “If you can’t count it, it doesn’t count.” If we want public relations to count, we have to count it. A lot of things in measurement have already existed. 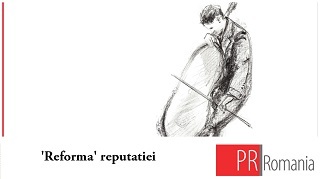 I think that perhaps they were not as well publicized as they are now, but the Commission on PR Measurement & Evaluation of the Institute for Public Relations has published papers on best practices in measurement, has provided a dictionary of measurement terminology, and guidelines. I think the difference with the Barcelona Principles was that it was endorsed by a number of PR organizations around the world. When I say that PR=Marketing I still think they are different disciplines, I just think that the communication professional has to be able do both PR and Marketing. I still think marketing is brand related, whereas PR in more on the relationship front. The thing is that is not enough to simply deal with a brand anymore, it’s not simply enough to deal with relationships anymore, because they are closely interlinked. I’m saying that PR and Marketing are still different disciplines, but the same people have to do both. It was easy in the past when you had a marketing executive and a PR. Now they actually have to be the same person, or they actually have to work closely. That’s the key. The New Hungarian Media Law. Is the Worldwide Criticism Justified? Since 1st of January 2011 the EU member Hungary has a new media law. This law was criticized not only by the Hungarians e.g. the National Association of Hungarian Journalists, but in a wide range by the European and American Media and political power as well. We had the chance to speak with Dr. Tamas Barat, former Vice President of the European Public Relations Confederation (CERP). Today he is Professor of Corporate Communication, Member Emeritus of the Hungarian Public Relations Association and Editor-in-Chief of the CCO Magazine, a portal site for communication's practitioners, experts and students who are studying communication and/or public relations. Tony Silard is the President of The Center for Social Leadership (Washington), an organization that provides marginalized people with leadership lessons. In the interview below, he talks about the qualities a leader should have, but also about the challenges leaders should be able to face. I think there's a feeling of anger and frustration towards WikiLeaks, and in any situation where there is extreme anger and frustration sometimes the rhetoric outpaces the rational approach. There's an increasing acceptance that as communicators we need to take advantage of this changing environment. Rather than try to fight it, the more sophisticated companies are accepting that we are no longer in control of messaging (if we ever were), so are much more interested in influencing the debate and the dialogue. Brian Solis: This is Your Moment to Make Public Relations Count! Crosby Noricks, Founder PR Couture: Don’t Confuse PR with Sales!